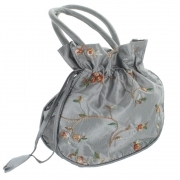 Small Embroidered Silver Grey Dolly Bag. 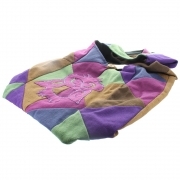 A patchwork shoulder bag with owl design applique. 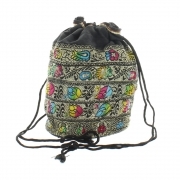 A beautiful dolly bag made from colourful zari work fabric. 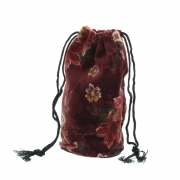 A beautiful small velvet dolly bag made from red floral fabric. 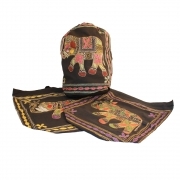 A beautiful duffel bag made from black cotton fabric with embroidered elephant design. 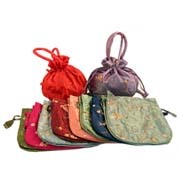 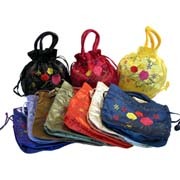 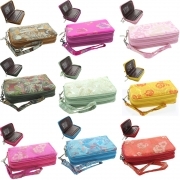 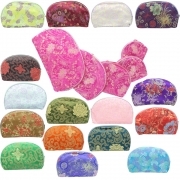 Embroidered silky dolly bags in assorted colours.